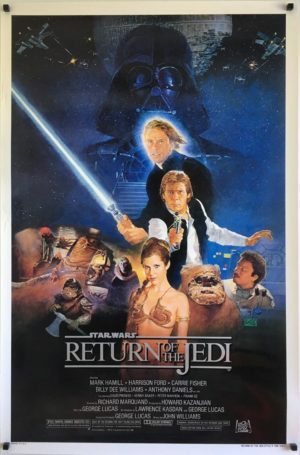 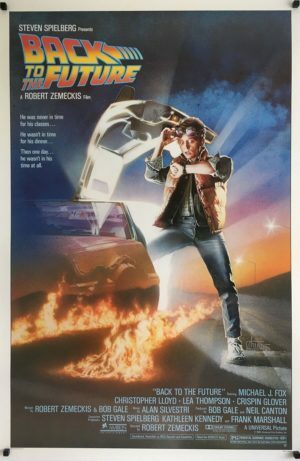 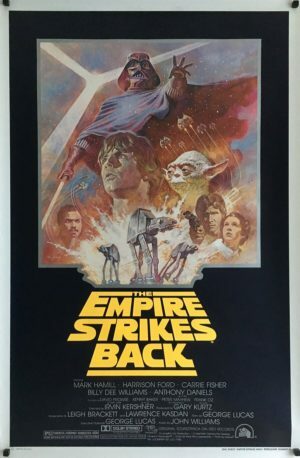 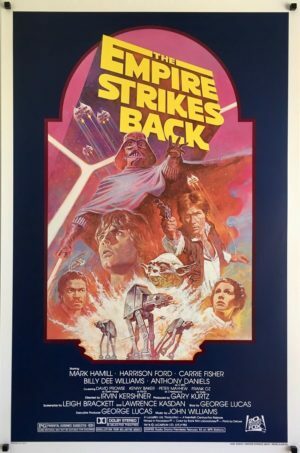 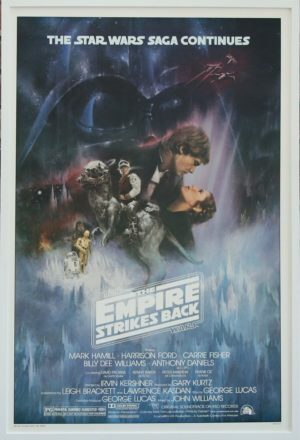 Due the immense popularity of Star Wars – A New Hope, the film was re-released in cinemas in 1979, 1981 and 1982. 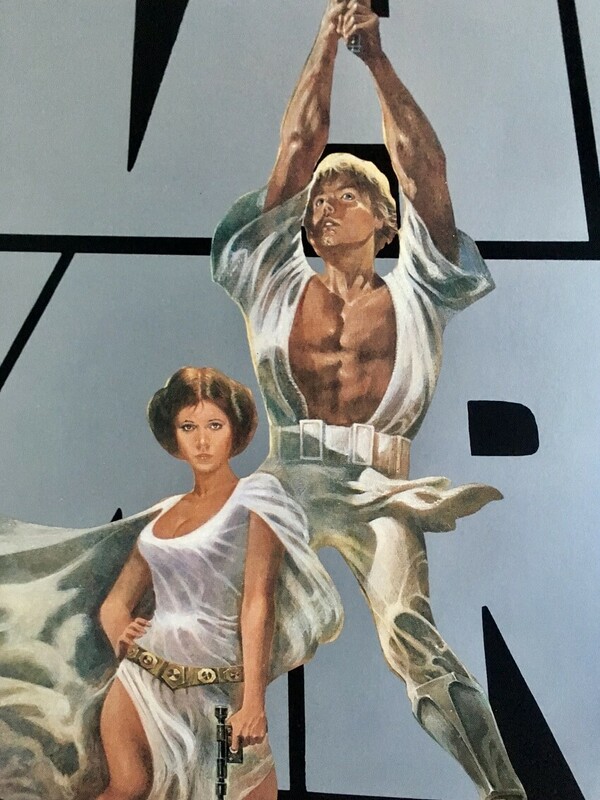 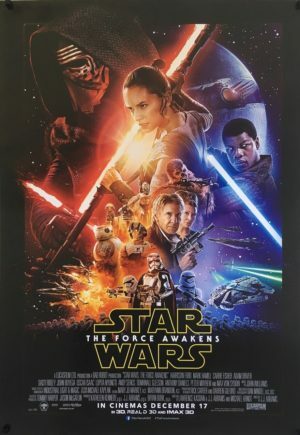 All three posters utilized the central Tom Yung image of Luke and Leia, with alternating background colours. 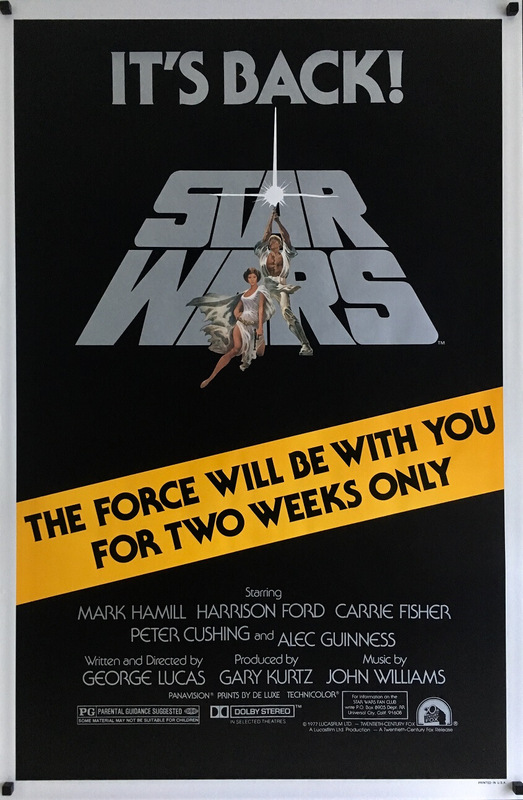 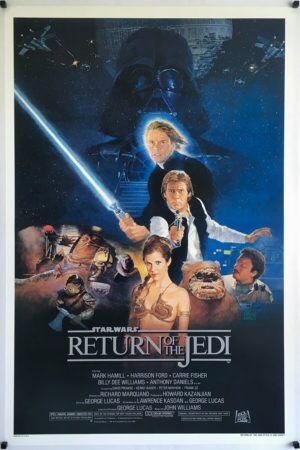 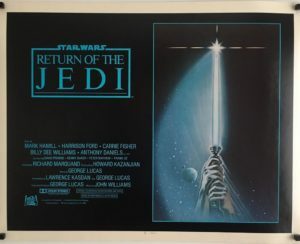 The ’79’ had a blue background with a red ‘Kenner toy discount offer’ banner, the ’81’ a black background with yellow ‘Two week’ banner and ’82’ a sky blue background with an offset Luke/Leia and a red/white ‘Revenge of the Jedi’ Banner.